This project required a well-appointed and designed space emblematic of its design philosophy. EJ York entered into contract with Taboola whilst design drawings preparation was ongoing. To facilitate a seamless transition, EJ York worked with the Architect, Elan Amirav of Design & Architecture based in Tel Aviv to ensure that the design and construction was well coordinated, thereby eliminating potential negative impacts on the schedule. The project was completed in two phases; phase 1 covered the office renovation on the fifth-floor, construction of reception, waiting area, back office, 13 huddle rooms, 3 meeting rooms, lounge and recording room. 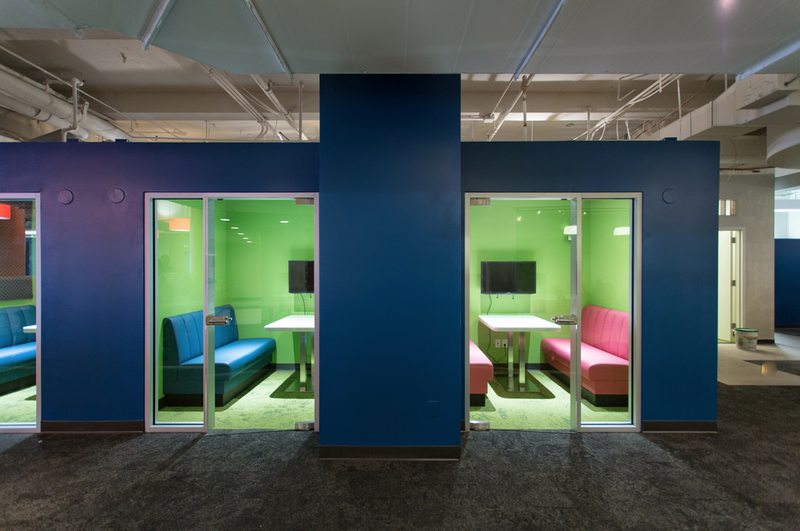 Phase 2 covered the creation of a fun room, company room and executive conference rooms. 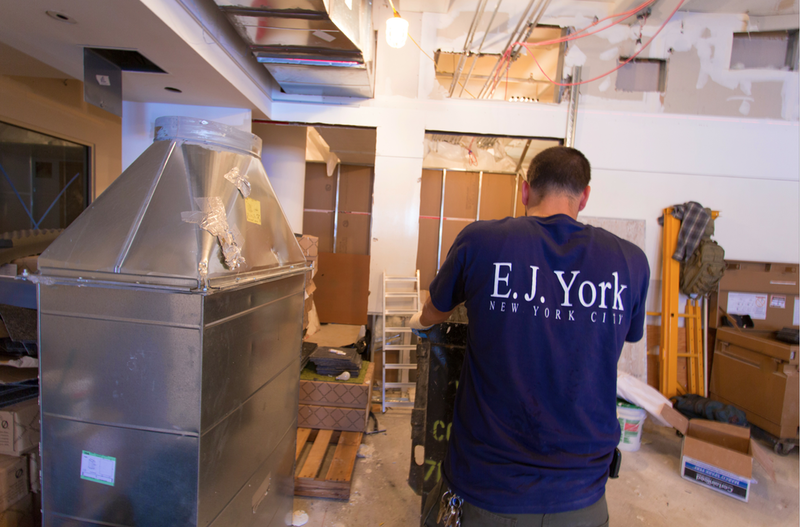 EJ York Inc. successfully completed the project on time and within budget, identifying long lead items, closely coordinating construction activities with the Owner as well as providing the Owner with value engineering ideas.